In this Q&A with Nick Boukas, preparedness director at the National Association of County and City Health Officials, he describes the particular vulnerability of older adults and people with disabilities during disasters like California’s Camp Fire tragedy and how county health departments can work to protect them. Q. Are older adults and people with disabilities really more vulnerable during nature disasters than other populations? If so, what factors make them more at risk? According to NACCHO’s 2018 Preparedness Profile (https://bit.ly/2FZeCgA) 95 percent of local health departments surveyed reported that they had incorporated the needs of older adults into their plans. We also found that 92 percent of local health departments have plans that include people with disabilities, and 87 percent have plans specific to children. Many times, this includes planning for their needs should they require emergency sheltering. Local health departments frequently work with their partners in emergency management to ensure services like dialysis and non-emergency care can still be provided to those individuals who have been displaced to a shelter until they can return home. 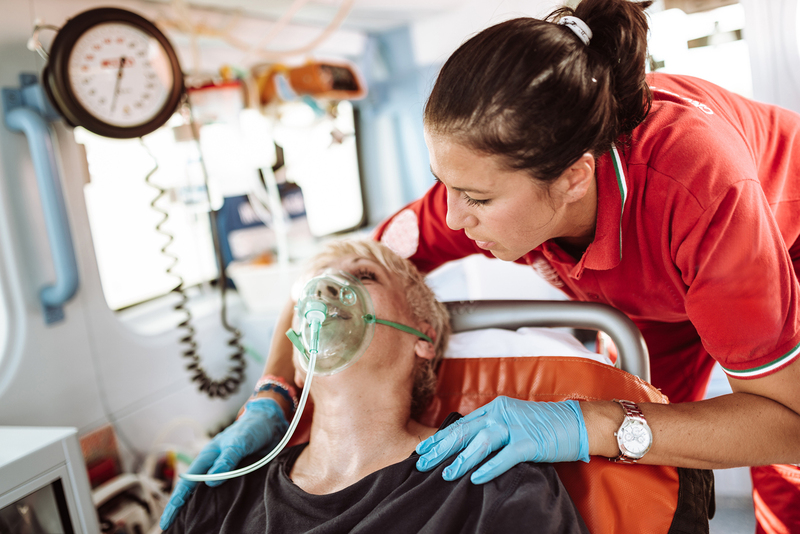 Seventy-five percent of local health departments participate in healthcare coalitions that are made up of regional partners and stakeholders, like emergency management and Emergency Medical Services (EMS), who collaborate to work more effectively in a public health emergency. This has helped to ensure the “whole community” approach and build partnerships. Q. What do local health departments do to protect the older adult population? Healthcare coalitions are made up of four key partners: local public health, emergency management, healthcare facilities and EMS. As part of the Centers for Medicare & Medicaid Services Emergency Preparedness Rule, more community stakeholders are being instructed to participate in these meetings. Many healthcare coalitions now include long-term care facilities, dialysis centers, blood banks, public utilities, and many others that may be specific to the community. In the NACCHO Preparedness Survey, we found that more than 40 percent of local health departments offer training and assistance for their partners about how to include older adults, persons with disabilities, and children in their emergency plans. The federal government has provided some dedicated funding to help address preparedness planning at the local level since 2002 through the Centers for Disease Control and Prevention’s (CDC) Public Health Emergency Program grants. The amount of funding, and its corresponding reach, has varied over time and are not guaranteed. Unfortunately, this program has been reduced over the years, which has a direct impact on what local health departments can accomplish. In 2006, PHEP was included in the Pandemic All Hazards Preparedness Act, and it continues to be authorized through that law, which is past due for reauthorization. The Pandemic and All-Hazard Preparedness and Advancing Innovation Act stalled in Congress last year despite having wide bipartisan support. Efforts are already underway to get the law reauthorized this year. NACCHO continues to work in coalition with public health, industry, and healthcare partners to get these critical programs reauthorized quickly and fully funded. Q. What resources are available for older adults? NACCHO is completing a toolkit for including Aging and Disability Networks in emergency planning. The toolkit, which will be released soon, will have information for local government offices, emergency, and community advocates on how they can best engage the different stakeholders and populations to ensure that they are considered in planning and responses. NACCHO has also developed checklists and other guides for local health departments to help inform local preparedness, which are available at http://nacchopreparedness.org/. In addition, many communities have resource centers that can provide materials for older adults and persons with disabilities. Among them are Aging and Disability Resource Centers and Area Agencies on Aging — both of these programs are under the federal Administration for Community Living. The CDC also has a number of materials for older adults, persons with disabilities, and children and youth with special health care needs. They have recommendations on creating plans and emergency supply kits. Many people often assume they will have time to grab items at the last minute, but frequently do not have all of their medications or prescription glasses or their medical insurance cards.